Hi everyone, I just wanted to share you the new video that we have created to introduce Clean Compassion to people. Please share this video with everyone you know. If you are in a club or church we would love to come and talk to your organization about Clean Compassion and the impact that we are having. This entry was posted in Learn More, Media, YouTube. Bookmark the permalink. Thank you for your interest in Clean Compassion. Please read this PDF and explore our website to find out all about the huge impact we are making in the world by creating jobs, offering hope and saving our environment. This entry was posted in Learn More, Media, News, Printed. Bookmark the permalink. 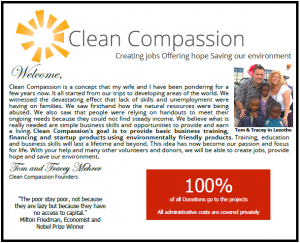 Learn what and how Clean Compassion operates and is creating jobs in Haiti, Cambodia, Liberia and soon Kenya. 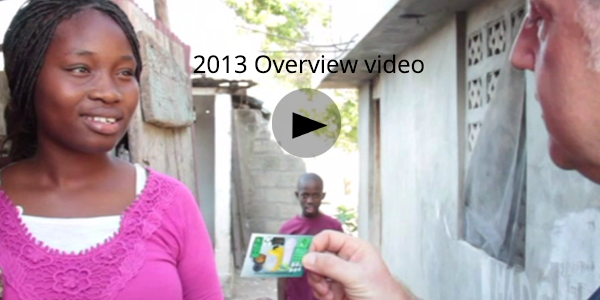 This is an Overview of Clean Compassion for 2013. This entry was posted in Learn More, Media, News, YouTube. Bookmark the permalink. What an impact we are having the kids. 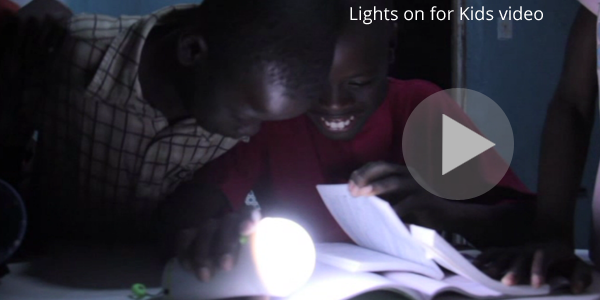 Check out our Lights on for kids video.